Nine doctors have been sentenced to between three and five years in prison in the former Soviet republic of Kyrgyzstan following an HIV outbreak among 72 children and 16 mothers at two hospitals. The news story on the sentencing from AFP, is below, followed by a Kaiser Daily HIV/AIDS Report from April summarising several reports on the outbreak and investigation. BISHKEK (AFP) — A court in Kyrgyzstan has jailed nine doctors for infecting children with HIV in several hospitals across the south of the country, a judicial source said, cited by the Aki news agency. The doctors were given prison terms ranging from three to five years and ordered to pay 10,000 dollars (6,500 euros) in damages and interest to the children and their families, after being found guilty of negligence on Tuesday. Prosecutors said 41 children and four mothers were contaminated at two hospitals in a scandal that was first made public in summer 2007. Two doctors from the hospitals, as well as two more doctors at other medical centres involved in the country's blood transfusion system, were sacked in July 2007 for allowing the virus, which causes AIDS, to spread. The health ministry said last year that the infections occurred "during injections and blood transfusions." A similar scandal broke out last year in neighbouring Kazakhstan, where some 100 children were infected with HIV and 21 medical staff were sentenced to prison terms of up to eight years. Kaiser Daily HIV/AIDS Report, Apr 11, 2008. An HIV outbreak among 72 children and 16 mothers at two hospitals in Kyrgyzstan has led to charges of negligence against 14 medical workers, who are believed to have accidentally infected the children through tainted blood and used needles, the AP/Houston Chronicle reports (Saralayeva, AP/Houston Chronicle, 4/9). Four Kyrgyz physicians were fired in July 2007 for accidentally infecting 10 children and one adult with HIV. Ministry of Health officials said the children and the adult contracted HIV while receiving injections and blood transfusions but gave no other details (Kaiser Daily HIV/AIDS Report, 8/1/07). Hundreds of children have been tested since the outbreak was first discovered in July. Health Minister Marat Mambetov on Tuesday said the infections have been contained. According to the AP/Chronicle, some of the mothers contracted the virus through breastfeeding their children. HIV/AIDS experts said that although HIV transmission from infants to mothers during breastfeeding is rare, it is possible when the infant has mouth sores and the woman has lesions on her breasts. The HIV-positive children are receiving antiretroviral drugs at no cost through the government, but their mothers are not eligible for no-cost antiretrovirals if they are in the early stages of the disease, Erkin Bakiyev, director of the country's national AIDS center, said. The children also are receiving monthly payments of $23 from the government. The nongovernmental organization Rainbow has begun to provide no-cost legal assistance to some of the HIV-positive women to help them obtain medication and other support services. 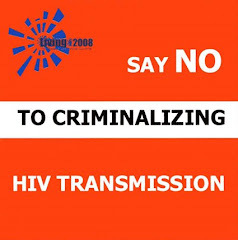 Fatima Khabibullina, a lawyer at Rainbow, said that some of the women's husbands have left them since learning of their HIV-positive status. Rainbow Director Fatima Koshokova said, "These women are having huge financial difficulties," adding, "They should be getting nutritious food, but they are not able to get jobs or to provide decent food for themselves or their children" (AP/Houston Chronicle, 4/9).